In today’s business environment, there’s a new kind of green motivating corporations, and it doesn’t come with president’s faces on it. What we’re talking about is corporate sustainability or an emphasis on sustainability being prioritized over short-term profits. 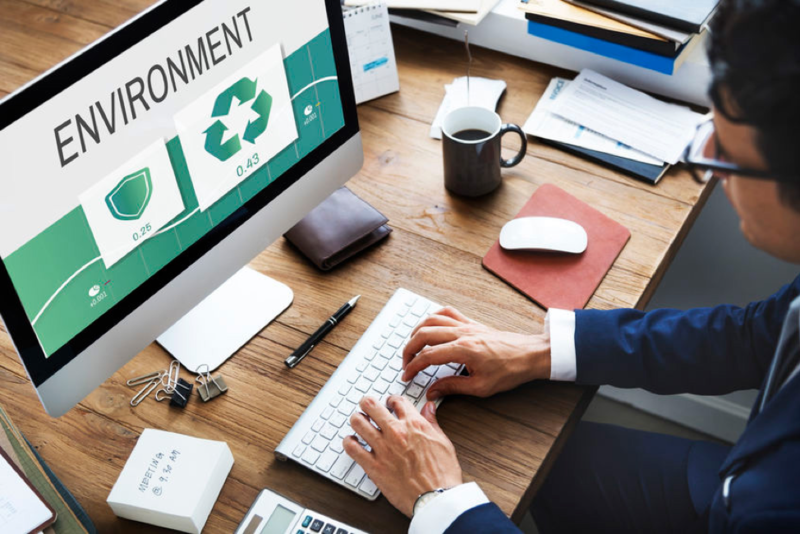 Customers are starting to embrace products and services that are sustainable, which has led to corporations making changes to accommodate the needs of customers. Companies are now making changes to show they care about sustainability and in many of those cases are flourishing because of it. One of the ways that companies are changing is through offering community involvement. As an example, Xerox implemented a Community Involvement Program that directly involves employees. The corporation puts money into the program in which employees can participate in to help their communities. Another way that corporations are looking to create sustainability is through reducing emissions through their supply chain. An example of that is Novartis, which Forbes states has created a tool that can “track total carbon emissions, identify potential emission hotspots and take action by increasing supplier engagement initiatives to reduce its environmental impact.” Other companies doing the same thing include American Eagle Outfitters and Danone among others. Not just single corporations here and there are making changes to be better sustainable corporations. One example is Kickstarter, which funds creative projects and recently put out resources for early-stage entrepreneurs to understand options for reducing the environmental impact of shipping and manufacturing goods. It also bears understanding that there isn’t a single fix that works for every corporation. Every industry and each company is going to need to consider what works for them and their customers. However, this also means that innovative solutions are coming into the world more and more every year. An example of this can be seen with Best Buy who recently made a commitment to establish a Science-Based Target to improve efficiency and has begun to develop a plan to work with vendors, merchants, and manufacturers to ensure products are more efficient and to educate employees to offers help to consumers to purchase the most efficient appliances and electronics. Another example is Ulta Beauty which is linking energy efficiency with guest traffic. It seems at this point that the business trend is turning into a mainstream chance that has positive effects for corporations, customers, and everyone involved in the creation and delivery of products. Seeing how successful companies can be with sustainability efforts in place shows that the world of business is changing. It might be time to consider how you’re aiding in the efforts.